Wyoming-based Melvin Brewing will be opening a large brewery and restaurant in San Diego's East Village as part of an ambitious expansion for the irreverent and controversial craft brewery. Founded in Jackson Hole, WY, in 2009 by Jeremy Tofte, Melvin Brewing is an award-winning craft brewery that currently operates two Wyoming brewpubs, Thai Me Up restaurant in Jackson, and an outpost in Bellingham, Washington. The company is also pursuing brewpub locations in Denver, CO, Olympia, WA, and Eureka, MO. With its expansion plans, Melvin is hoping to seed brewpubs in the top beer markets across the United States. Which brings us to San Diego - the capitol of craft! 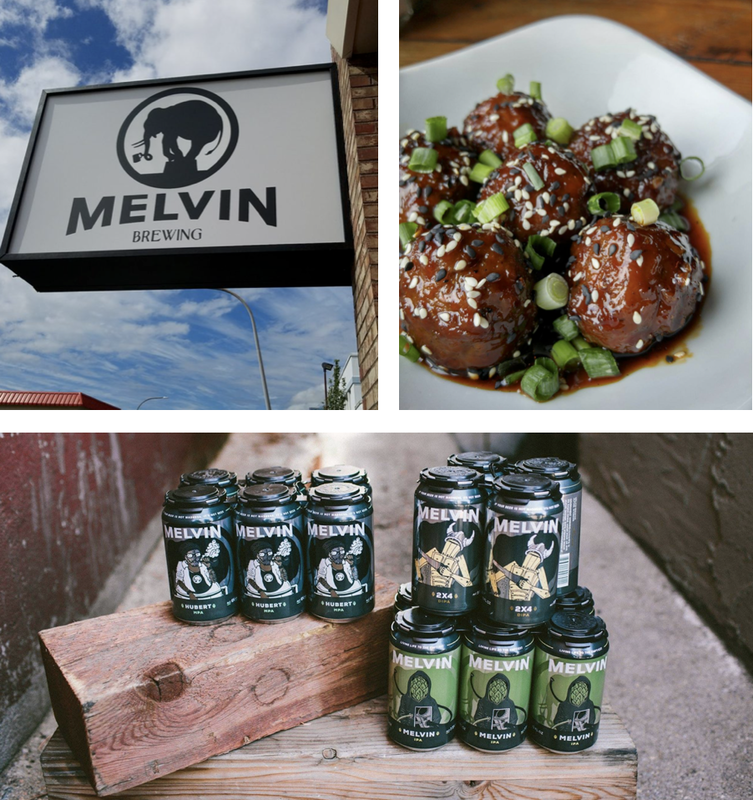 Melvin Brewing is moving into 634 14th Street, Suites 109-110, in the space that last housed Primo Sports Bar in downtown's East Village and will be opening a 7-to-10-barrel brewery with an onsite Asian fusion restaurant. Expect a large array of Melvin beers available on draft and for takeaway, as well as a food menu consisting of an eclectic variety of dishes, including pad Thai dumplings, ginger beer battered fish and chips, and an array of sandwiches and burgers. The brewpub aims to open by year's end. Tonight we host a Wu Tang concert in Colorado. Monday we celebrate craft beer on International 2x4 Day at bars all over the world. This is a legendary Melvin weekend. Don’t hate, party! . . . Bars and craft beer enthusiasts all over the world are uniting against corporate beer on Monday April 2nd (and taking Tuesday off). Follow INTERNATIONAL 2x4 DAY link in bio to find a party near you . . Catch WuTang at @thepopupboulder TONIGHT! See our Facebook event for tickets. This past April, Melvin Brewing came under fire due to allegations of sexual misconduct after the company's co-founder and head brewer was accused of inappropriately touching a waitress in a nearby brewpub. This resulted in further accusations that Melvin has cultivated a "bro-culture" amongst its staff due to its "bad boy branding." Although no charges have been filed, these allegations have resulted in some backlash, with some establishments boycotting Melvin products. The company also instituted a new sexual-harassment policy that includes mandatory sexual-harassment training for all of its employees. For more information about Melvin Brewing, visit melvinbrewing.com.